This class can display tab menus that can be nested. 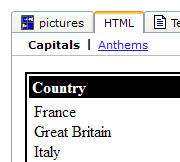 It can define tabs that may contain a list of menu entries. 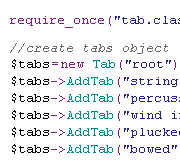 The class can generate HTML that shows tab bars as links that can open any sub-tabs. 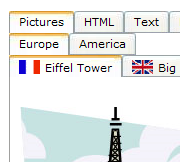 Each tab may have a caption text, a graphic image and can be either enabled or disabled.